Lately we have had an increasing number of people ask us how we get our sitting assignments or how a homeowner can find a house sitter. ​So we thought we would put together a list of the house sitting websites we use. Not only that breakdown each site, how they work and who they are best suited to. Each of these house sitting websites are different from each other. This is in terms of functionality, price, competition and assignments available. Each of these house sitting websites have their own pros & cons. This makes it hard to choose only one to sign up to if budget is something that you are concerned about. There is no 'one size fits all site'. We currently have an active membership to each of the below house sitting websites. Having this many memberships can add up. But when you spread the cost out over 1 year it works out pretty cheap for accommodation for 1 year. We have tried to give a fair review of each site and have tried to advise as best we can who each site is best for. We hope this post helps you decide which of these house sitting websites is best for you. And also helps you on your own house sitting journey. Need More House Sitting Info? Get in Touch With Us! Find This Post Interesting? Don't Forget To Share With Others! Membership Fee: $129.00 USD for both homeowners and house sitters. Trusted Housesitters is one of the most well known house sitting websites out there. They have got a huge range of sits all over the world. This is often our go to house sitting website. We have personally used Trusted Housesitters for sitting assignments all around the world. Australia, Ireland, The United Kingdom Thailand, Malaysia and New Zealand. This platform is constantly getting more and more popular. This is great because there are lots more homes on offer. However for every new home on the platform, there seem to be 5 more house sitters joining. It is becoming a very competitive site which can be hard or new users. Trusted House Sitters also provide extensive resources on how to become a pet sitter! They have everything from how to land your first sits to information regarding house sitting agreements. Membership Fee: Free for homeowners and $84 NZD for house sitters. Kiwi House Sitters is a sister website of Aussie House Sitters. This is the website that we mainly use when in New Zealand. In New Zealand homeowners seem to stay away from the bigger international websites and stay local. The platforms functionality and user experience is the same as Aussie House Sitters. They have great options for filtering assignments and you can narrow down your perfect house sit with ease. Found The Perfect House Sit But its In Another Country? Skyscanner is a site that we book 99% of out flights with, they are the best platform for finding the best flight deals on the internet! We have also made a list of the cheapest airports to fly out of around the world to help you pick the best destinations! Membership Fee: Free for homeowners and $59 AUD for house sitters. We find that Mindahome always has a lot of options within Australia! Its a similar membership fee to other house sitting websites in the Aussie market. The platform has a nice clean design focused on the user having a good experience. It is not a pain in the backside to use like some others. We also have found that the support team is super responsive which we really like! Membership Fee: Free for homeowners. $55USD for house sitters. House Carers is a website that we have used for sits in Australia, Ireland, The United Kingdom and New Zealand. They were the first house sitting website set up to bring homeowners and house sitters together back in 2000. They have been around since the very start and know a thing or two about what both house sitters and homeowners want. This is in terms of website features, functions and usability. But, the platform does have an old school - outdated feel to it compared to some other platforms out there. One feature that we really love is the house sit notifications. You can set up custom notifications for certain areas so you never miss applying for a sit. The video feature on House Carers is a fantastic way to show homeowners your real self. Other platforms only offer a write-up and photos, which to be honest don’t always portray you how you would really like to be portrayed. Do You want free Airbnb Credit? You can get up to $45 AUD off your first trip by signing up with us!. That means you have more money for the good things in life, like cheese, wine & travel. Membership Fee: Free for homeowners and $84 AUD for house sitters. Aussie House Sitters is our go-to website for house sits in Australia. They have the best range of all the house sitting websites for house sits in Australia. They offer an easy to use and simple platform which to be honest we have not really found any real faults with. They also have a great community page on Facebook where they share house sits and information. Membership Fee: Free for homeowners and $20 USD for house sitters. Mind My House is one of the original house sitting websites. It has been around since the start. They have cheap membership fees which is fantastic. However, this means they have a lot of house sitters on the platform. This means that competition can be tough (as of right now there is 230 available house sits and 4,000 available house sitters!). The platform has a great user experience and website layout. They also have a strong community which is great for sharing experiences, tips and pictures! Mind My House also has an alerts option, so you can never miss a listing in your favourite locations. They are an international website, however, most listings are in the United States or Europe. Need Travel Insurance For Your Next Sit? 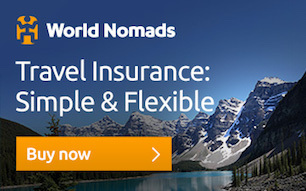 We always use World Nomads for our travel insurance. They cover most countries and every activity at a very affordable price. I have been thinking about finding a house sitter for my trips ( 2 to 6 weeks). I have a cat and pool to care for in central California. What are the expectation for the homeowner and sitter? We like to sit with the owners either in person or skype and go through all the responsibilities. We are more than happy to mow lawns, clean pools and anything else that comes our way 🙂 Have you looked into finding a sitter yet? Great post guys, I want to follow your lead and use Aussie House Sitters as my go-to. Do you have a referral link or code? Hey Garrick, You are in luck! Use the code 8346AU and you will get $10 off your membership 🙂 Happy house sitting! Thank you for creating a short intro about these house sitting websites. I will save me time to look for reputable ones since you’ve collected that for me! Will definitely check each of them! thanks for great list of platforms, we are going to pick one this weekend! !We cant wait to start house sitting! Do you have preferences for US sites? Happy Saturday Theresa 🙂 I think for the US Trusted House Sitter would be your best option, its seems like they have the widest range of house sits however due to this it can be very competitive. Have you got started sitting or have any references?